Room Care R2 - Plus Hard Surface Cleaner concentrate that quickly and gently removes only and water-soluble residues. Use with the Divermite Dispenser. 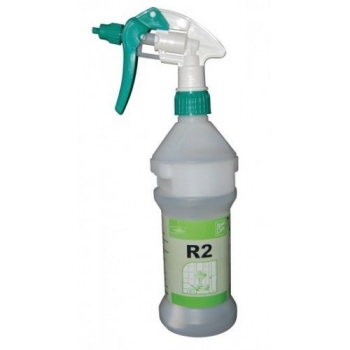 Room Care R2L is a ready to use hard surface cleaner suitable for cleaning surfaces in hospitals, nursing homes, lodging and other establishments. 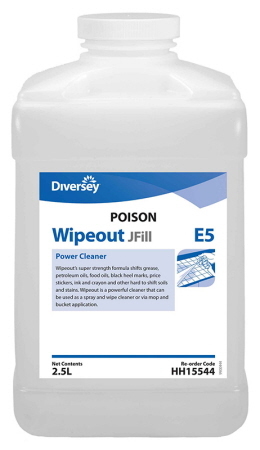 Wipeout is a powerful cleaner formulated to remove grease, oil and food soils. Suitable for use on laminate, stainless steel and all non-painted surfaces. No residue, no rinsing required. Wipeout J-Fill for Grease Oil Remover is a powerful cleaning formulated to remove grease, oil and food soils. For use with J-Fill Dispensing Unit. It can be used on laminate, stainless steel and all non-painted surfaces. No residue, no rinsing required. Asset J-Fill Hard Surface Cleaner is a unique blend of ingredients working together for excellent daily cleaning efficiency on floors, washrooms and other hard washable surfaces. It suits well with all hard surfaces such as walls, tables, chrome, stainless steel and laminate. It provides full range cleaning power to remove soil. When diluted through a JohnsonDiversey dispensing system. You don't need to rinse when using this cleaner. It can be used via a spray bottle or a mop and bucket. It leaves a pleasant rose fragrance. 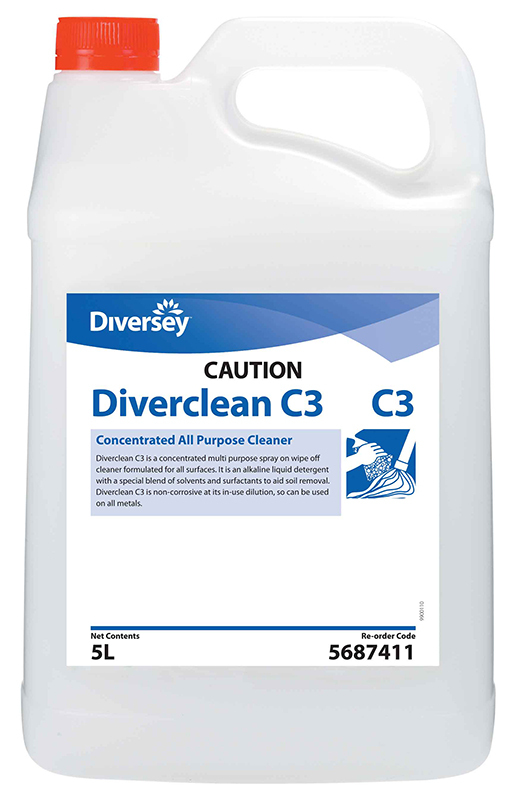 Diverclean C3 Multipurpose hard surface cleaner for walls, floors, etc. 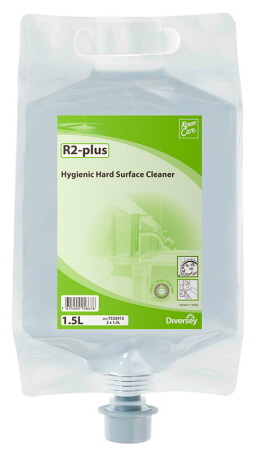 with excellent degreasing and cleaning power. 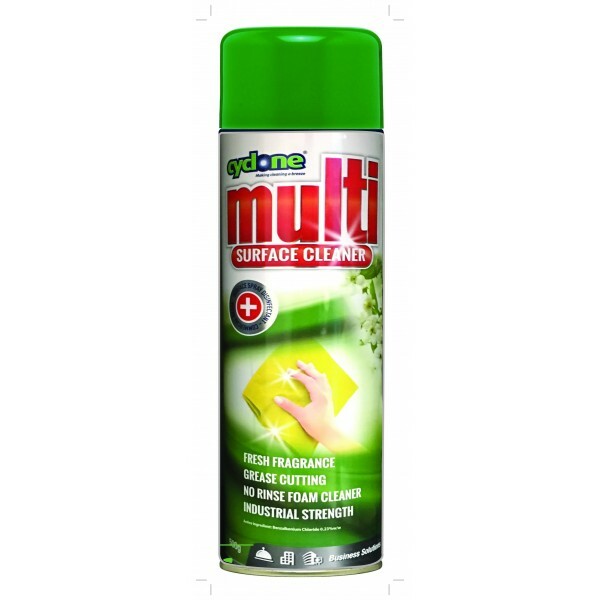 It is an alkaline based detergent with a special blend of solvents and surfactants to aid soil removal. 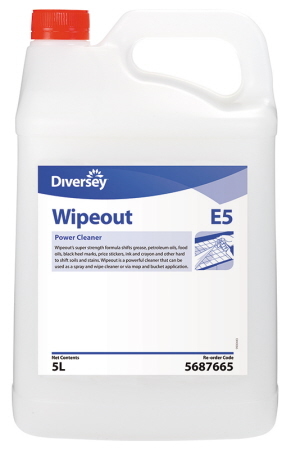 It is ideal for use in catering, housekeeping, health care, transport and building maintenance industries. Perdiem Smardose is a General Purpose Cleaner with Hydrogen Peroxide designed for high productivity cleaning of all washable surfaces. 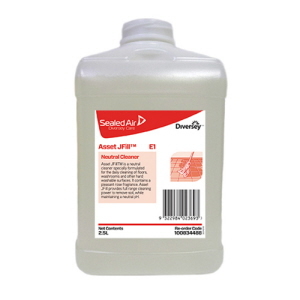 It is a concentrated general purpose cleaner for cleaning floors, glass and other hard surfaces. 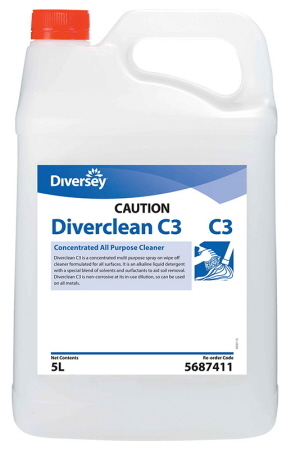 Also suitable for carpet spotting and extraction cleaning. Approved for cleaning interiors of commercial aircraft. 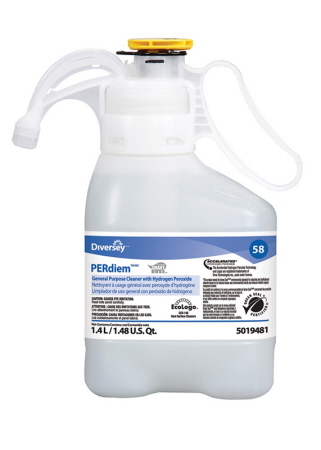 The proven Smart Dose bottle allows you to easily and accurately dose concentrated cleaning products. This innovative and sustainable solution delivers better cost control than any other dosing system! 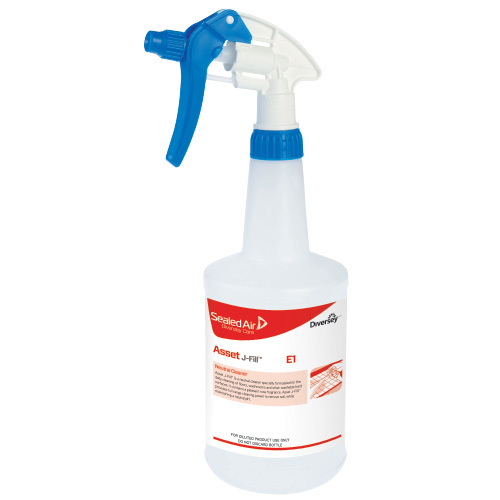 To use, simply select the appropriate dosing icon (ie bottle, bucket or machine fill), pull the pump up once, then push the know down to dispense the accurate amount of concentrated cleaner! 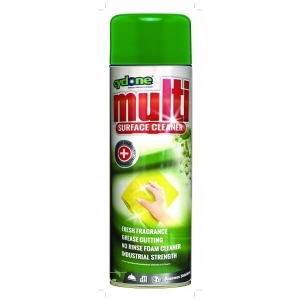 Cyclone Multi-surface cleaner formulated to cut through grease and stubborn grime without rinsing. 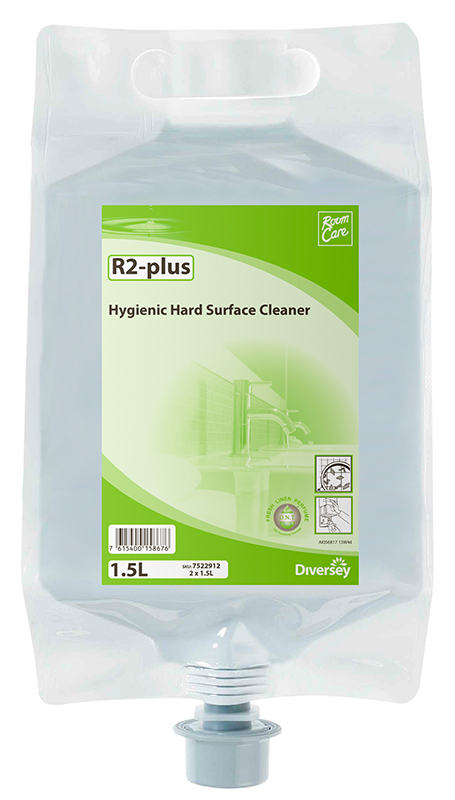 It does not contain harsh abrasives and can be used on tiles & bench tops, ovens & stoves, range hoods, toilets & baths, taps & sinks and shower bases. With a quick spray and wipe, all washable surfaces and fixtures are left clean and fresh. 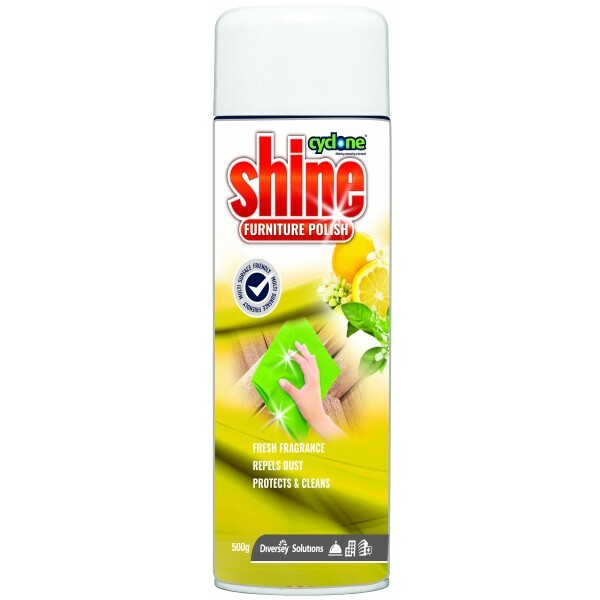 Cyclone Shine Up furniture polish helps repel dust, reduces dust accumulation and helps protect against ordinary wear, water spills and stains. It works well on most surfaces, including metal furniture, office equipment, paneling, leather, vinyl, chrome, brass, stainless steel, porcelain, marble, ceramics and laminates.